The Konica 7035 copies up to 35ppm. The Konica Bizhub 7035 has a 500 sheet paper tray capacity. 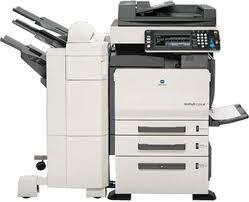 The Konica-7035 also has fax, scanning and network printing features. .